The group is pursuing millennials as a key aspect of their registration efforts. They consider them an essential segment of the 4.8 million eligible Latino voters in the state. 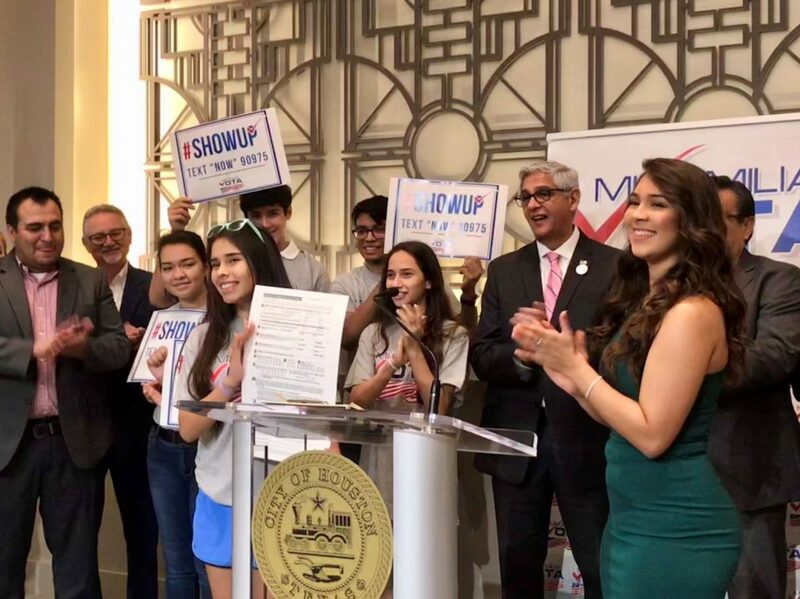 Mi Familia Vota celebrates 450,000 voter registrations across the country at Houston City Hall. The Latino voter registration group Mi Familia Vota (My Family Votes) reached 450,000 registrations nationwide this week. The nationwide group celebrated the achievement as they continue to register Latino voters before the October 9 deadline. 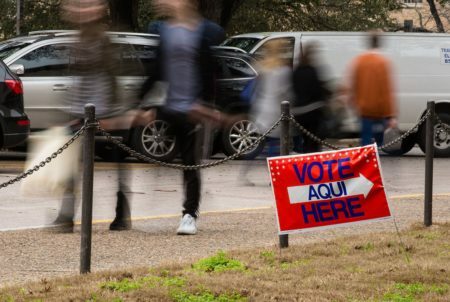 “Forty four percent of eligible Latino voters are millennials, so that basically means that if young people are not voting, then the Latino vote is not present,” said Carlos Duarte, Mi Familia Vota’s Texas State Director. That’s why the organization is working with 30 or so Houston-area schools to educate and register students. Students like Esmeralda Garza, who graduated from Northside High School last year and became a voter registrar after getting involved with the organization through her high school. 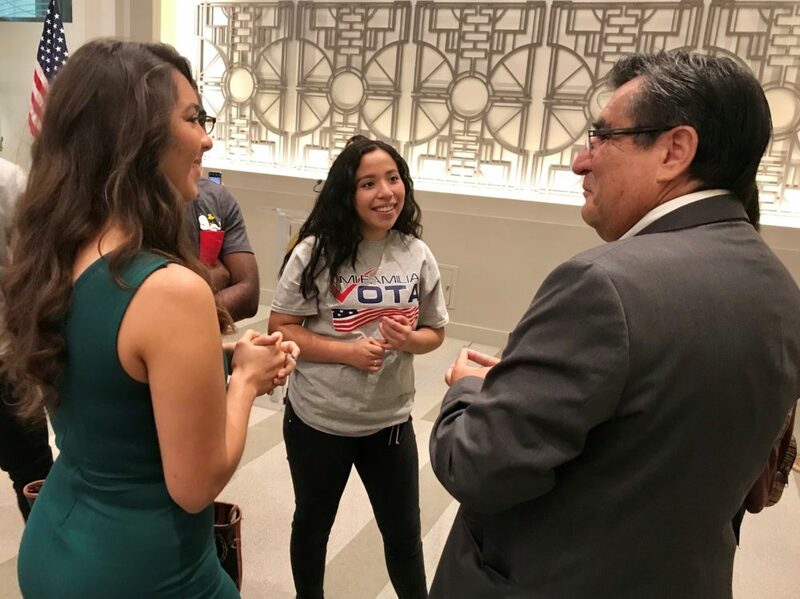 Mi Familia Vota hopes to register another 50,000 voters before elections in November, according to Ben Monterroso, Executive Director of the organization. Mi Familia Vota participants speak with Executive Director Ben Monterroso. “What they see is that our community is not participating at the level that we should or we could,” said Monterroso. He said he thinks politicians use immigrants and Latinos to score political points and ultimately ignore a large part of the community. For Monterroso, activating the Latino vote will encourage politicians to address issues that matter to the community. Democrats also stand to benefit in the case of a strong Latino vote. The extent to which Latino voters show up to the polls will play a significant role in the upcoming midterm elections, especially with issues like immigration at the forefront of national debates. 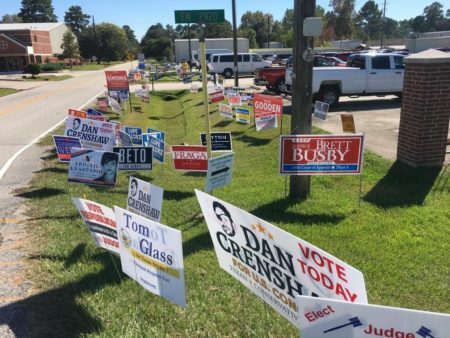 In Harris County, voter demographic history is already being made. Whites are no longer the majority of registered voters, according to voter registration data. An increasing number of the county’s Latino residents are registering to vote, while older white voters are dying off. 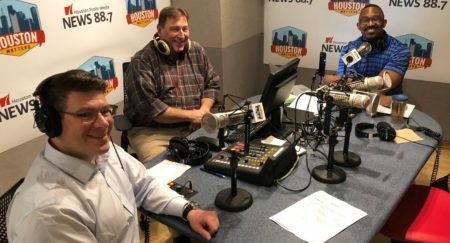 Primary elections in Harris County also showed the number of Latino voters who cast their ballot more than doubled compared to the 2014 primary. 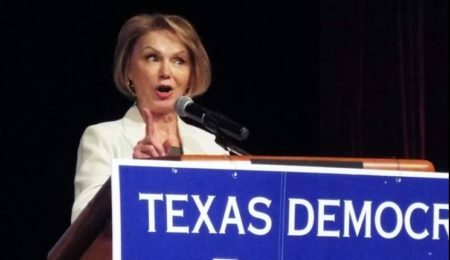 Experts have attributed the spike in participation to an increasingly polarized political climate, especially around the immigration debate, and strong Latino candidates.